I do pretty much all the cooking in our house, which I am perfectly fine with because I love to cook, and it helps that Eric does the dishes! Most of the time… As much as I love to cook, I can be pretty low maintenance when it comes do dinner, especially after a long day at work. Eric is a little bit more high maintenance and likes to have a few sides to choose from. The other night, Eric was away for a training and when I got home at 5:30 I was starving! I needed dinner and I needed it fast, and what could be faster than a sandwich? Although, as fast as it was, I must admit that I did eat almost half a bag of chips while waiting for the bacon to cook! Eric jokes that I’m like an old person because I need dinner early, it makes me cry inside a little bit when we get invited over to a friends house for dinner and they tell us to be there at 7:00. I’m going to blame it on my college days when the cafeteria closed for dinner at 7:30, but again, I have to admit that I was one of those people that got in line at 4:45 so I could be the first one in when the doors opened at 5:00. I guess I’m just an early dinner person! Long story short, this is a really quick meal to make! 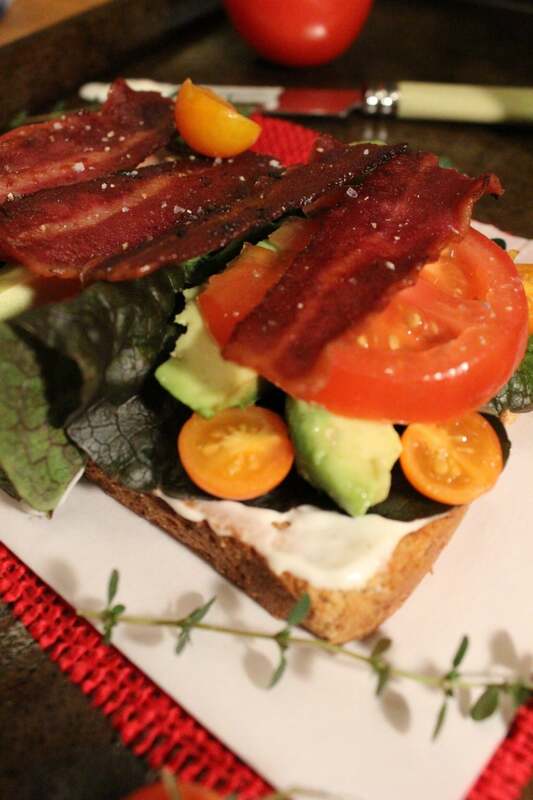 Ever since the holidays I’ve been on a thyme kick, I’ve been putting it in everything and this BLT is no different. I also really love lemon and thyme together, so when i saw the lemon thyme plant at Home Depot I, of course, had to buy it! I used lemon thyme on my BLT, but I’m guessing that most people probably don’t have a lemon thyme plant lying around and I’m not sure I would suggest going out and buying one just for this recipe. Instead, I would use regular thyme and some lemon zest. 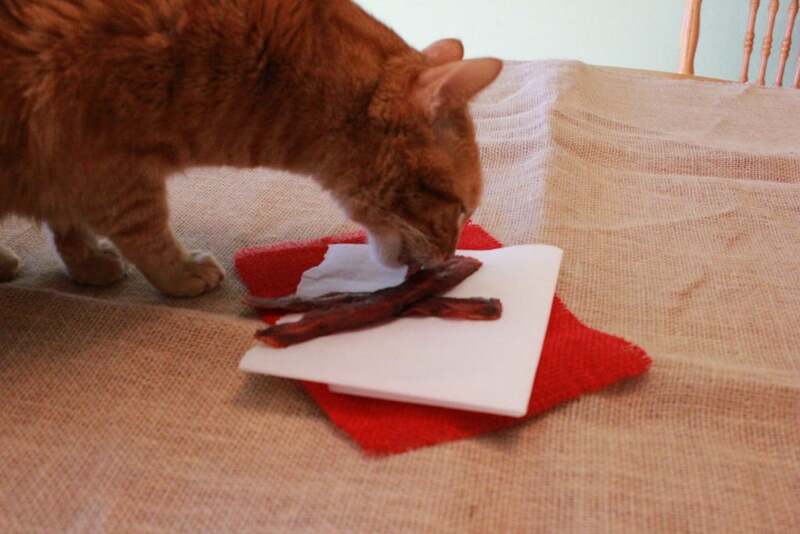 I also used turkey bacon for mine, which seems to get a bad rap, (probably because regular bacon is so delicious!) But you are welcome to use any kind of bacon you want! This is a great dinner or lunch if you are looking for something quick, easy, and delicious, or if you are just looking for another excuse to eat bacon! I hope you enjoy! 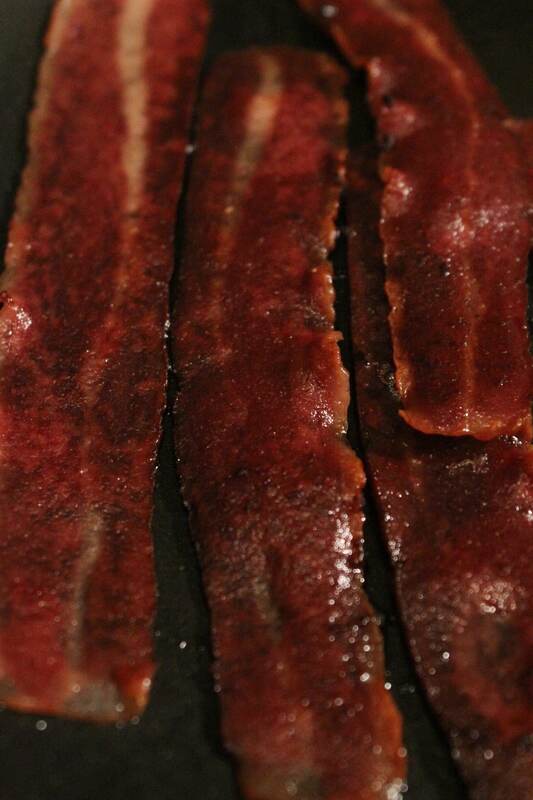 Cook the bacon until crispy, a few minutes on each side, I like mine very crispy! Spread mayonnaise on the bottom slice of bread, top with a few leaves of lemon thyme, or a few leaves of regular thyme and little bit of lemon zest. 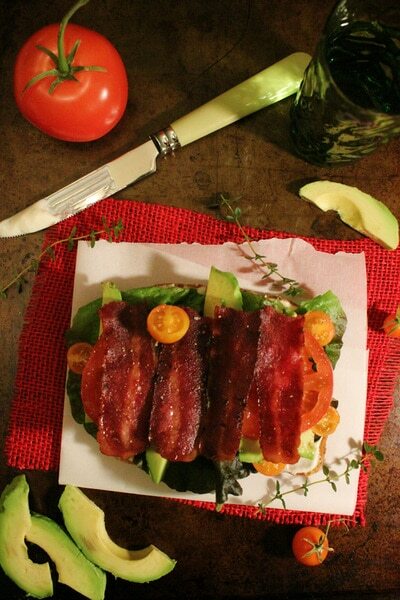 Layer lettuce, avocado, and tomato. Sprinkle avocado and tomato with a pinch of salt and pepper. 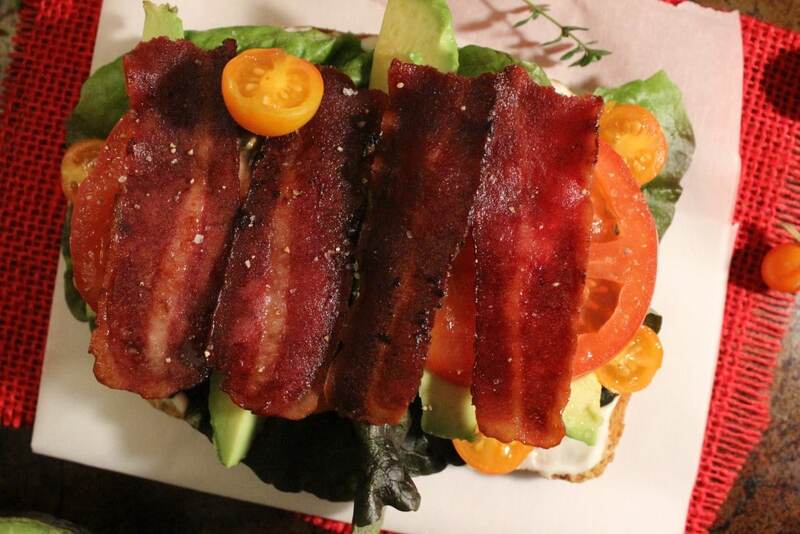 Add the bacon and top with another slice of toasted bread! 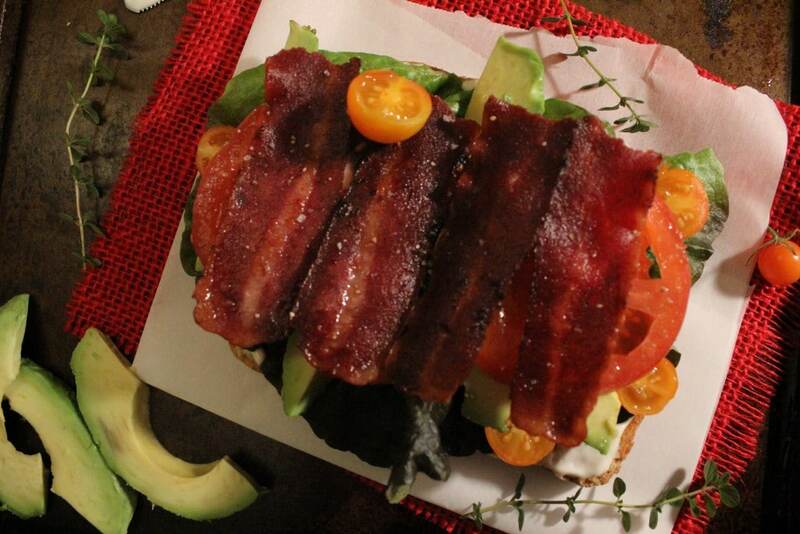 This is our favorite way to eat leftover bacon! I think we have made these sandwiches at least a half a dozen times now.